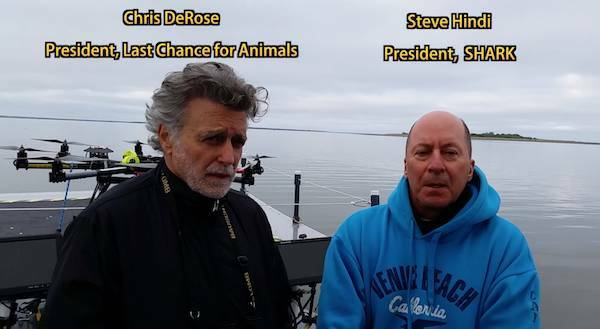 LCA and SHARK intercept Oregon Cormorant hunt... and stop the slaughter two days in a row!! Last Chance for Animals (LCA) and Showing Animals Respect and Kindness (SHARK) have stopped the cormorant slaughter in northern Oregon for the SECOND DAY in a row. There were high-speed chases and aversion tactics by US Fish and Wildlife Services; our presence is keeping them from coming out and killing these birds. LCA and SHARK have been on a boat on the Columbia River following Wildlife Services agents as they attempt to stalk and gun down the double-crested cormorants of East Sand Island. The killers do not want the public to see the bloodshed -- so they tried to run and hide from us, and eventually gave up and left. 1. Find and contact your senators and urge them to help stop the cormorant slaughter. 2. Share this alert with others to educate them on this issue and encourage them to take action. 3. Make a donation to LCA to help us continue fighting animal cruelty. 4. Make a donation to SHARK to help us continue fighting animal cruelty. 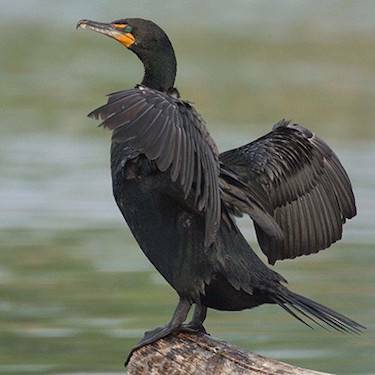 The government defends the sickening cormorant cull with the flimsy excuse of protecting wild salmon, who the birds eat. But the truth is that human development and overfishing, not cormorants, are to blame for the dwindling salmon population. Dams, hatcheries and other man-made constructions at the Columbia River Basin are the true threats -- and the innocent birds should be left alone.